There’s been another change in ownership within the floor-planning space. Sopra Steria, a European leader in digital transformation, recently announced the acquisition of lending solutions provider Sword Apak, a subsidiary of Sword Group. Sopra Steria has acquired, through its subsidiary Sopra Banking Software, 100 percent of Sword Apak, which develops specialized solutions for auto financing and asset finance. Sword Apak currently has more than 100 clients, including major international banking groups and automakers’ captive finance companies. Its flagship offering, Wholesale Finance System (WFS), is a vehicle fleet and inventory financing solution for dealers. Sword Apak was founded in 1979 and acquired by Sword Group in 2007. In 2017 it posted revenue of 27.5 million Euros. More than two-thirds of its revenues are recurring. Sopra indicated Sword Apak’s EBITDA came to 7.1 million Euros in 2017. Over the past three years, Sword Apak’s compound annual growth rate for revenue has been 19 percent. As of June 30, Sword Apak had 250 employees. Sopra Steria said it will consolidate Sword Apak into its accounts by the end of the month. “This acquisition gives Sopra Banking Software an unrivalled position in the asset finance software market. 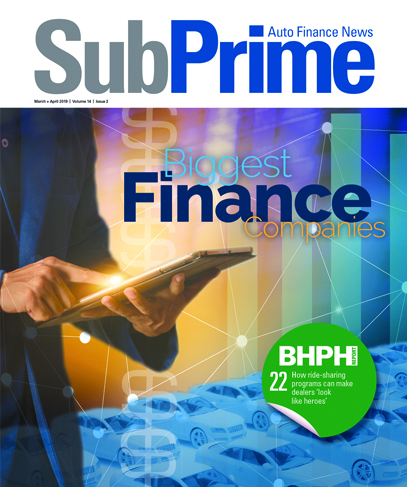 It rounds out Cassiopae’s offering (loan financing and fleet or personal leasing) with inventory financing solutions for car dealers and other distribution networks,” Sopra Steria said. “It also further consolidates its strong position with major groups that are already clients of the two companies by leveraging cross-selling opportunities, and provides a global, integrated, end-to-end solution covering all the sector’s financing needs,” the company continued. “The acquisition of Sword Apak fits perfectly with Sopra Banking Software’s strategy in the promising lending market. It is also aimed at strengthening the company’s business model by boosting its share of recurring revenue,” Sopra Steria went on to say. “As such, this acquisition reaffirms group’s confidence in Sopra Banking Software’s strategy and its capacity to address financial transformation-related challenges through its digital platform offerings,” the company added.